November 2016 — The self-proclaimed “Chocolate Queen”, Doreen Pendgracs, includes Gail’s Dark Chocolate Caramels as her #1 pick of “5 Favorite Chocolate Treats”. See what the Canadian blogger has to say about Gail’s caramels on her blog: Celebrating the Best Chocolate Treats, Chocolatour.net. November 2016 — Once again, Gail was listed as the #1 Chocolatier in the “Raves & Faves” issue of Brava Magazine. See the full list of Raves & Faves here: Brava Raves & Faves List 2016. October 2016 — HolidayLettings from TripAdvisor listed Gail’s chocolates as part of their article compiling The Ultimate Guide to the Sweetest Candy Shops in the U.S. See the complete story here: HolidayLettings from TripAdvisor. November 2015 — Gail was listed as the Best Chocolatier in the “Raves & Faves” issue of Brava Magazine, see more Raves & Faves here: Brava Magazine November 2015. October 2015 — Gail was one of 100 top-rated small business leaders selected to converge at a historic event at Yelp’s San Francisco head quarters called Coast-to-Coast: Coming Together Because We Mean Business, learn more here: “100 Local Business Leaders Will Converge at Yelp HQ for Historic Event”. October 2015 — We were honored to be included on VacationIdeas.com‘s list of the “25 Best Things To Do in Madison”. October 2014 — It was great to see this week’s Isthmus feature Gail Ambrosius in the article Destination: Atwood. 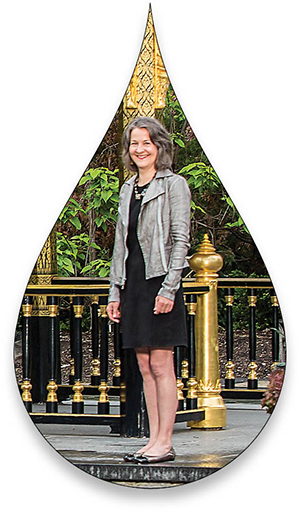 July 2014 — Madison InBusiness Magazine named Gail as one of the 2014 Hall of Fame inductees. Thank you! February 2014 — We were excited to see Gail Ambrosius Chocolatier featured in “Chocolate Shops That Will Melt Your Heart” by Travel Wisconsin. March 2013 —Edible Madison has named Gail the 2013 winner of the Local Hero Award in the Food/Beverage Artisan Category. Thank you! July 2012 — A big thanks to Nancy Cristy and Neil Heinen for celebrating Wisconsin chocolatiers and their community spirit. June 2012 — It was music to our ears when Stephanie Bedford kindly mentioned Gail’s truffles in her piece about the perfect accompaniments for Madison’s Concerts on the Square. June 2012 — Explore the genesis of Gail’s beer and chocolate pairings in this article from Pam Williams and Ecole Chocolate. June 2012 — Say “I do” to Gail’s beloved bridal favor chocolates—named “Best Favor” by Wisconsin Bride magazine for the fourth year running in 2012. May 2012 — If you crave sinfully rich dark chocolate truffles, start ticking off your “365 Things to Do in Madison” with a trip to Gail Ambrosius Chocolatier. May 2012 — We loved Tammy Baldwin even before she mentioned Gail’s truffles were one of her favorite Wisconsin delicacies here. Thank you, Tammy! May 2012 — What a dreamy article by Sheila Gaspers about Gail following her dreams on Tango Diva. Thanks, Sheila! May 2012 — It is an honor to be included in Annmarie Kostyk’s blog post about her favorite Mother’s Day chocolates. Thank you and happy Mother’s Day! April 2012 — You know you can trust financial expert Vera Gibbons, so how can we argue with her five favorite chocolate picks, including Gail’s “impressive” towers and “ravishing” mixes? February 2012 — You have to love a blog named “Better than Cheddar.” And what could be better than to be featured as one of 50 Ways to Love Your City (if your city is Madison). February 2012 — Looking for your next career? Jeanette Hurt wants you to know “There’s No Business Like the Chocolate Business” in her feature article on Entrepreneur magazine’s sister site, SecondAct.com. Jeanette interviewed Gail and two other entrepreneurial chocolatiers who have made their chocolate dreams a reality. February 2012 — If you’re looking for a “great place to get drenched in chocolate” this holiday, USA Today and Kay Harwell Fernandez, creator of the Chocolate Travel app, recommend Gail Ambrosius Chocolatier among nine others. Thanks for thinking of us (and thanks to The Boxer Show for spreading the love, too)! February 2012 — We love Minnesota Monthly written by Marie Flanagan, so we were especially touched by the very complimentary shout-out she sent our way in February in The Chocolate Holiday. February 2012 — The Review Connection agrees with us that “nothing says love like dark chocolate” in their comprehensive review of the Gail Ambrosius Chocolatier product line. February 2012 — Our Valentine’s Day came early when Gail’s salted caramels were selected as one the treats that “inspire” the editors at Martha Stewart Living magazine. Check out the February 2012 issue to read more. We love Martha! January 2012 — Looking for a great way to warm up in Wisconsin this winter? Travel Wisconsin recommends dropping in to see Gail and grab a hot chocolate. Thanks, Travel Wisconsin! January 2012 — Ecuador Living once again highlighted Gail Ambrosius for her ongoing commitment to sourcing some of her single-origin chocolate from the committed growers in this region. January 2012 — Travel writer and blogger Cynthia Calvert chronicled her trip to Madison, including a visit to Gail Ambrosius Chocolatier for “handmade, lovingly crafted” chocolates. December 2011 — Stephanie Carley of the Madison Baking Examiner joyfully cheered on Madison’s hometown food favorites—including Gail Ambrosius—in her holiday gift guide. December 2011 — We, too, felt the joy when Joy Deangdeelert Cho’s gorgeous Oh, Joy! blog added Gail’s chocolate dipped ginger to its holiday gift guide. December 2011 — For visitors seeking “Sense-sational” chocolate, Madison sure has a lot to offer. Thanks to TravelWisconsin.com for including us in their round up of Wisconsin’s best! November 2011 — We love the Sweet Leisure blog, so it was a kick to see Gail’s “tidbits of chocolate magic” featured as a favorite in November. November 2011 — After attending the NYC Food Fete Chocolat, Gail’s fanciful dark chocolate creations were featured in multiple publications, including Retail Confectioner and Candy Industry, and via blogs including AnnemarieKostyk.com, Go with your Gut (gluten-free products), the Chocolate Room, and many others. November 2011 — Being associated with such a fantastic community of ateliers offering locally sourced holiday gifts is always an honor. Thanks to Madison Magazine for celebrating and promoting our city’s hard-working, creative entrepreneurs. November 2011 — What an honor to be recommended by talented author Emma Straub in her 2011 holiday gift guide at EmmaStraub.net. Thanks, Emma! October 2011 — We love writer Lisa Waterman Gray, of Cook, Eat, Savor blog fame, as much as she enjoyed her visit to Gail’s shop this year. Thank you for the kind, kind words, Lisa! October 2011 — In the latest issue of 435 South magazine writer Kimberly Winter Stern, who visited Madison in August, recommends Gail’s Sweet Curry with Saffron and Caramel Sprinkled with Grey Sea Salt. October 2011 — Art lovers picking up the fall issue of Art Showcase magazine can read Amy Johnston’s Milwaukee to Madison foodie travel odyssey, including her take on Gail’s single-origin dark chocolate truffles which she says “ought to be the first thing anyone does on their trip to Wisconsin” because “even if you hate chocolate as much as I hate onions, you will bring ecstatic rapture to your loved ones or make dear friends of enemies should you opt to purchase.” Thanks, Amy! October 2011 — The votes are in and it looks like Gail’s special edition fall flavors—pumpkin, apple cider and cranberry — have made it to the top five patron favorites along with her classic Caramel with Sea Salt and Lucille’s Vanilla. October 2011 — Moms in need of respite check out the October/November issue of Taste of Home’s Simple & Delicious magazine featuring Gail’s truffles in this issue’s “Me Time” column. September 2011 — When asked for foodie suggestions for a trip to Madison, Kansas City writer Kimberly Winter Stern recommended a whole host of area favorites including Gail Ambrosius Chocolatier. September 2011 — Watch out New York! Gail recently learned she is one of only 20 artisanal chocolate makers invited to participate in the Food Fete Chocolat event November 10 in New York City. Happy travels, Gail! September 2011 — The Isthmus Annual Manual named Gail Ambrosius’ truffles its “favorite sweet” in the 2011 edition. Thanks, Isthmus! August 2011 — If you made it to this year’s Great Taste of the Midwest craft beer extravaganza, we hope you had a chance to click glasses and sample some delectable chocolates at the beer-and-chocolate pairing event Gail co-hosted alongside Aran Madden of Madison’s own Furthermore Brewing. August 2011 — Many thanks to blogger Colleen Busch who wrote a glowing review of Gail’s Caramels Sprinkled with Grey Salt and 12-piece Chocolatier’s Choice dark chocolate truffle box on her blog, Fishful Thinking. July 2011 — Did you catch Gail on Madison’s NBC 15 News in July? Anchor Carleen Wild covered Gail’s recent trip to Peru with the non-profit Becky Fund. Read more about her trip here. 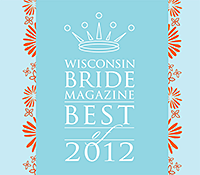 July 2011 — We’re in the mood for love after being named Wisconsin Bride magazine’s best wedding favor once again in 2011. July 2011 — Gail loves to travel, so she is thrilled to be one of five great chocolate shops recommended by TravelWisconsin.com. Stop on by the next time you’re in town. July 2011 — The July Greater Madison Convention and Visitors Bureau’s partnership newsletter was twice as nice with two mentions of recent honors for Gail Ambrosius Chocolatier. June 2011 — A beer and chocolate tasting featuring New Holland craft beer and Gail Ambrosius truffles makes an impression on Women Enjoying Beer and dcfud magazine at the 2011 SAVOR festival in Washington D.C.
July 2011 — We know Madison is the best place to live, but we were surprised (and honored!) to be named Madison’s best chocolate for the second year running in the 2011 Madison Magazine Best of Madison readers’ poll. Thank you! June 2011 — Gail spreads a message of hope in her “woman-on-the-street” moment with Capital Times freelancer Kevin Murphy. June 2011 — We’re blushing…after being named a Wisconsin Company to Watch and a finalist in the AMD Visionary Awards foodie category. May 2011 — Simply Life gets inspired by Gail’s Parsian Praline delights. May 2011 — Red Gecko Studio captures a stunning tiered truffle cake created with Gail Ambrosius chocolates for Jessica and Gabe’s intimate brunch wedding. Congratulations! May 2011 — Dark Chocolate Daily delights in Gail’s Parisian Praline Collection, admiring the treat’s sleek, architectural lines. 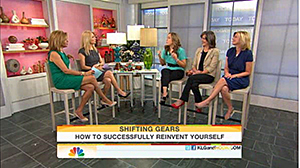 April 2011 — Gail chats with Kathie Lee and Hoda on the TODAY Show about her reinvention from cartographer to chocolatier. March and April 2011 — the Parisian Praline Collection gets love from Candy Yum Yum, Chocolate Blog, Chocolate Ratings and ZOMG, Candy! March 2011 — Chocolatier Liz Gutman profiles Gail for her column in Serious Eats. February 2011 — The Milwaukee Journal Sentinel story on Gail’s single-origin chocolate box and approach to chocolate. February 2011 — Salon.com’s food editor, Francis Lam, gives Gail some high praise as he samples some of “drugstore” choices for Valentine’s Day chocolate. February 2011 — Martha Stewart Living assistant food editor Kris Kurek writes about Gail’s chocolate and her recent visit to Martha’s test kitchens. February 2011 — O, the Oprah Magazine, names our Classic Collection of truffles as the choice for “time-honored traditional” artisan chocolates for Valentine’s Day. December 2010 — Bon Appetit includes our Tea-Inspired truffles in their list of recommended chocolates for holiday gifts. November 2010 — Gourmet News interviews Gail about the hot chocolate flavors for fall. November 2010 — We continue to be the bane of Serious Eats’ founder Ed Levine’s diet. October 2010 — Salon.com does a Halloween candy taste test that includes our tree frogs. October 2010 —Blogger Jessica Su gives our truffles the thumb’s up. September 2010 — 77 Square reports on the preparations for our Food Network appearance. 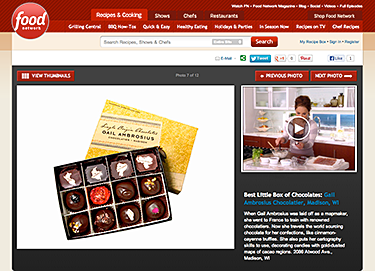 September 2010 — Food Network Magazine says Gail makes “the best little box of chocolates” in the nation. Gail appears on Alton Brown’s “America’s Best” special featuring America’s Top 10 Sweets on the Food Network. August 2010 — Brides.com provides some tasty suggestions for wedding favors from our product line. August 2010 — Traveling Mamas write about the importance of travel in Gail’s development as a chocolatier. June 2010 — For the second year in a row, the readers of Wisconsin Bride say we make the best favors. 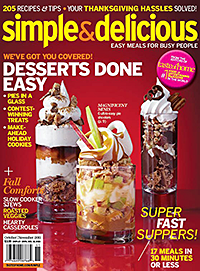 May and June 2010 — We get some serious blogosphere love from Candygurus, chocolate writer Annmarie Kostyk, ZOMG Candy! and Gigi Reviews. February 2010 — Gail’s truffles get a “5 across the board” for taste among dark chocolates sent from around the world, earning her a spot on the Huffington Post‘s “10 Top Chocolates for Valentine’s Day” list. January 2010 — New York food writer extraordinaire, Ed Levine, admits he couldn’t resist Gail’s chocolates despite his dieting resolve in his weekly column for Serious Eats. January 2010 — Gail is profiled in an In Business story “Retail Report: Profile of a Chocolatier; A Little Luxury Still Sells During a Recession”. Gail discusses being at the five-year mark in her business and looking ahead to what the next five years might bring. December 2009 — Gail’s truffles were reviewed by pastry chef/candy blogger Elizabeth LaBau for About.com. Elizabeth said Gail’s chocolate were among the best she had in years. 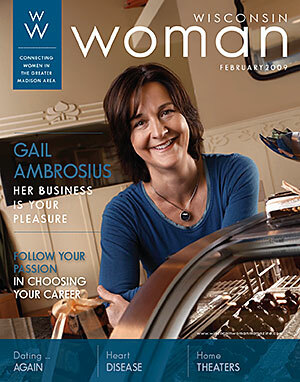 Woman cover article, “Gail Ambrosius: Her Business is Your Pleasure” (PDF). Gail discusses her passion for chocolate and how she got started in as an award winning chocolatier. 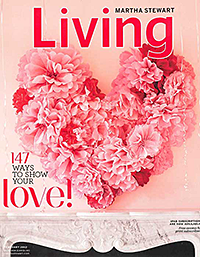 Our Lives cover article, “Sharing the Love” (PDF) about her recipe for success that comes from caring for her team as much as she does her customers and chocolates. October 2008 — 77 Square article “Let’s Eat for $7.70: Two ways to satisfy a sweet tooth” featured Gail’s 3 Hot Nuts Bar and truffles and the honor of Gail being chosen as a semi-finalist in the Next Generation Chocolatier competition in New York. June 2009 — The University of Wisconsin School of Business awarded Gail Ambrosius Chocolatier with their 2008 Dane County Small Business Award. The DCBSA committee selected Gail on the basis of several criteria including business viability, employee relations and benefits, and community involvement. Everyone who works at Gail Ambrosius Chocolatier is honored by this award. June 2008 —Dr Dave’s Mega-O Truffles: Gail is proud to partner with Dr. David Kiefer, originally of Madison, to bring you your daily dose of Omega-3s in a delicious chocolate truffle. June 2008 — Gail was a guest on Here on Earth: Radio Without Borders, broadcasted on WPR (WERN FM 88.7, FM 90.9, and FM 107.9). She discussed her passion for chocolate making and her training in France. Joining Gail was Pam Williams, an instructor at Ecole Chocolat, where Gail began her formal studies. Click here to listen to the program. June 2008 — Gail was once again honored with the Silver Medal Award in the Best Candy/Chocolate Store category of Madison Magazine‘s annual Best of Madison awards. May 2008 Gail’s journey from state employee to successful business woman is chronicled on Lemonspark.com’s “Wisconsin Entrepreneur Project”. This debut article is posted with the intention of inspiring others to follow their passion and achieve their professional goals. Follow the link and click on “Stories” on the left hand side. December 2007 — Gail was featured on the cover of Isthmus in the article, “Consumed with passion: Gail Ambrosius brings a world of chocolate to Madison”, about getting the chocolate business started as well as Gail’s single origin chocolates. July 2007 — Gail was honored with the Silver Medal Award in the Best Candy/Chocolate Store category of Madison Magazine‘s annual Best of Madison awards. May 2007 — Gail was featured in Wisconsin State Journal article, “Conference Sets Path To Sweet Success”, about Gail being one of 15 women business owners who had three minutes to describe why they deserved a spot in the Make Mine a $ Million Business program, which helps women grow their businesses with extra financing, marketing and educational support. December 2006 — Gail was mentioned a Chicago Sun-Times restaurant review, “Eno – A Triple Threat Destination”. Gail’s chocolates are now available at Eno inside the Intercontinental Hotel, Michigan Ave, Chicago. The hotel’s lounge remade into a 42-seat intimate space focusing on chocolate, cheese and wine. October 2006 — Gail was featured in the Wisconsin State Journal article, “Chocolates Take Your Breath Away”. Read all about Gail Ambrosius’ passion for chocolate and the opening of her new store. September 2006 — Gail was mentioned in the Culinary Clips section of the Capital Times announcing the news of my location move and new items here at the shop. July 2006 — Gail Ambrosius received the bronze award for best chocolate shop in Madison Magazine‘s 2006 Best of Madison annual reader choice poll. July 2006 — Gail was a guest on the locally produced cooking show called Cooking at The Casbah. Squeaky Wheel Productions produced a fun little promo piece for Gail and her chocolates. February 2006 — Gail was featured in the Wisconsin State Journal article, “Sweet Passion: For Gail Ambrosius, making chocolate is her destiny”. Read all about Gail and her passion for chocolate. December 2005 — Gail was mentioned in a Madison Magazine article, “Hot Chocolate” by Nancy Christy and Neil Heinen. November 2005 — Gail was featured in the Capital Times article, “Strong, dark beers harmonize with chocolates”. Read how she pair up my chocolates with selected dark ales from Unibroue, as presented by Jim Javenkoski, Unibroue’s Culinary Attaché in Chicago. June 2005 — Gail was featured in Genie Campbell’s Shop Talk column in Anew Magazine. May 2005 — an article in the Capital Times about Gail’s Ambrosius’ chocolate tasting events titled “Chocolatier is one-woman show”. February 2004 — a story from the Wisconsin State Journal featured Gail, titled “Entrepreneurial Bug Has Bitten: Wisconsin People Are Flocking To Classes On How To Start A Business Of Their Own“.